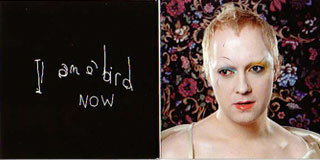 Antony and the Johnsons second CD: I am a bird Now is a wonder to behold. This mindblowing CD can be seen as an amazing and authentic diagram into Antony’s soul as it travels through this amazing thing we call “Life”. The musical instrument he uses to deliver these insights is his commanding, vulnerable and exquisite voice. I’m sure that Maria Callas was an influence in his delivery. LOU REED and DEVENDRA BANHART are among the talented musicians who back Antony with a wall of sound that is beyond compelling. 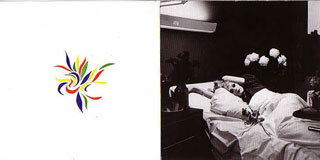 Play this CD LOUD and often while you enjoy the Peter Hujar photo on the cover.